SHANGHAI -- The SAIC-GM-Wuling joint venture will introduce a new brand -- Baojun -- to market its future lineup of passenger cars. 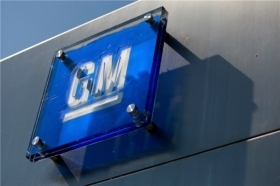 The partnership among General Motors Co., Shanghai Automotive Industry Corp. and Wuling Motors will launch its first passenger car model next year. The partners outlined their plans Sunday at a press event here. The first Wuling car model will be a mid-sized sedan based on the Buick Excelle. The car was designed by the Pan Asia Technical Automotive Center, a Shanghai design studio shared by GM and SAIC. Baojun is the Chinese word for "treasured horse." The brand is aimed at the low end of China's fast-growing car market, a segment currently dominated by China's domestic brands. "We aim to surpass customer expectations by creating a brand that combines world-class quality with low ownership costs," said Shen Yang, general manager of SAIC-GM-Wuling. The SAIC-GM-Wuling joint venture is headquartered in the city of Liuzhou, in the Guangxi Zhuang Autonomous Region. The venture markets a range of entry-level commercial minivans and mini-trucks, with sales topping 1 million units in 2009.